A few hundred yards to the SW of Lanchester in Co.Durham lie the remains of the Roman fort of Longovicium. And it was here that, possibly, was fought one of the most important encounters in English history: the Battle of Brunanburh. I say ‘possibly’ as no one really knows where this history-shaping clash took place, only that it happened in the autumn of 937AD. But, my goodness, it was an important one, as King Aethelstan of the recently formed England led his forces to a crucial victory over the combined armies of Scotland, Strathclyde and the Irish Vikings. The battle put the English nation firmly on the map for good. What is not on the map, though, is the venue. Several sites across the north of England have been put forward, with current thinking favouring a spot on the Wirral peninsula. However, as has already been suggested (here), the North-East of England also lays claim to the battle; but recently it has been proposed that the aforementioned site near Lanchester could well be the spot we’ve all been looking for these past few hundred years. By studying the word itself, historian Andrew Breeze suggests that ‘Brunanburh’ means ‘the burgh by the Browney’ – that is, ‘the stronghold near the River Browney.’ The stronghold being, of course, the old Roman fort, with the River Browney running around the foot of the hill below. To help seal the deal, the Roman road of Dere Street runs north-south through the site, which, it is suggested, would have facilitated the movement of the respective armies to and from the site. This, frankly, makes a lot more sense than the awkward situate of the Wirral … and may well give the region another important historical claim to fame. 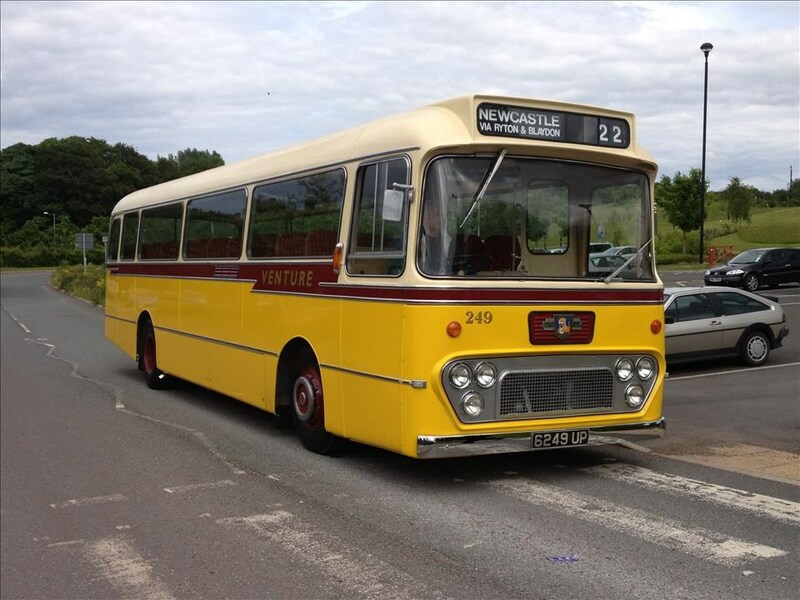 Those of a certain age who live in, or frequent, the Derwent Valley will remember a grand old bus company by the name of Venture Transport. They were once major players in the public transport industry, and have actually made a mini-comeback of late, to the delight of many. In the early days of motorised road travel - the immediate post-WWI era - many dozens (hundreds?) of independent bus companies battled for the custom of a populace who didn’t own very many cars between them. 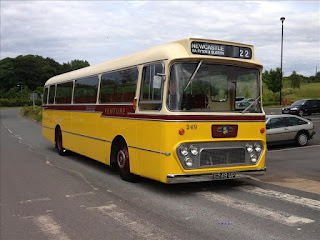 And Venture Transport, who were based in Consett and ran services around and about the Co.Durham town, were at one time the biggest concern of their kind in the North-East. With a pool of vehicles hovering around the 80-90 mark, for many years they played a very important role in the lives of a great number of people. Launched shortly after the First World War, they expanded further after amalgamation with Robson Bros and Reed Bros in the 1930s, by which time their distinctive yellow, maroon and cream livery had become well-known. Operating out of Consett, the company maintained depots at High Spen and Blackhill, and, in time, integrated its services with the United and Northern bus companies, whilst remaining independent. As the market tightened and the private car industry boomed, Venture experimented with the car sales, hire and servicing industry - and it also provided tours and excursions. In time, though, things got a little too tight, and in 1970 it was eventually swallowed up by the giant that was the Northern General Transport Company - though its fleet still extended to an impressive 86 buses and coaches, and many vehicles maintained the distinctive ‘look’ for some time thereafter. Though the Venture name disappeared from our streets for a time, Go-Ahead Northern revived the name shortly after deregulation in 1986; then relaunched it yet again recently by way of a network of services between and around Consett and Stanley. So, once again, the familiar colours of the Venture buses grace the roads of the North-East - if in slightly fewer numbers. The Salvation Army began life in the 1860s as the ‘East London Christian Mission’ under the guidance of William and Catherine Booth. 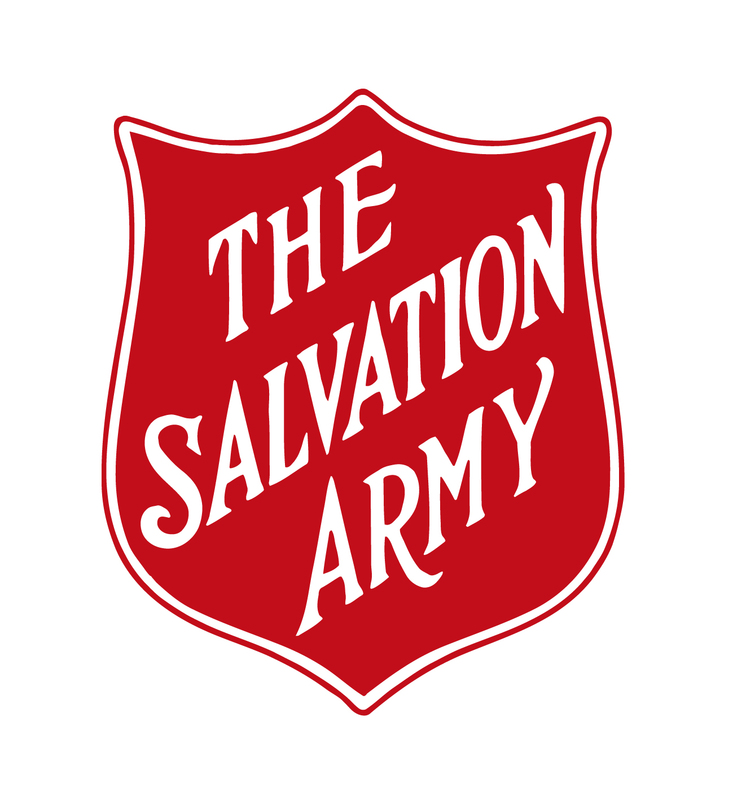 In 1878, the organisation was restructured and renamed – becoming ‘The Salvation Army’ proper. The set-up went nationwide and eventually, of course, worldwide. Part of the Sally Ann’s thrust from day one was music – both singing and band-playing. In the very early days, when the organisation’s open air meetings would often attract hostility, the tactic of musical diversion was a common trick. Early Salvationists, the Fry family, were the first to pick up their instruments to this effect in Salisbury. 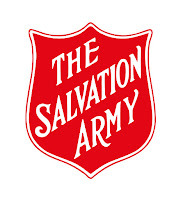 However, after the 1878 restructure, individual Salvation Army corps groups were officially established across the UK. One of the first was that at Consett – originally called the ‘Consett Station’ – which was founded in 1878 in Puddlers Row. A year or so later, in December 1879, the local converts formed their own little brass band – officially the first Salvation Army Corps Band in the world. The bandmaster was one Ned Lennox, and he was joined by George Storey, James Simpson and Robert Greenwood – all of them workers at the nearby iron works. Their first gigs were playing on the streets of the town during Christmas 1879. The happy little quartet were soon in demand, playing at many meetings in the area – and even William Booth himself employed their services on several of his northern campaigns. More corps bands followed elsewhere across the country, but that of Consett’s was undoubtedly the first – research into the organisation’s history during a 1906 inquiry established this as fact (the early Salisbury Fry family, being attached to the Salvation Army’s HQ, were not considered a ‘corps’ band). And Consett’s Salvation Army Brass Band is still going strong today, the very first example of its kind – and a part of which is now a huge worldwide phenomenon. The story of the Shotley Bridge swordmakers is well-known to those with an interest in the Derwent Valley, yet their history is surprisingly brief and not an altogether successful one at that. It started with a mystery and ended with a whimper. In 1687, around twenty men and their families slipped out of the German town of Solingen and made their way secretly to the shores of England. Somewhat strangely, they ended up on the banks of the River Derwent and settled in the area now known as Shotley Bridge. No one quite knows why they came (possibly religious persecution and/or the restrictions of their guild secrets) or why the Derwent Valley (some say they were invited by a couple of enterprising Newcastle businessmen, or that there was already a small German community there). Whatever the backstory, they brought with them a very great skill: the ability to forge swords and blades like no other – springy, hollow, three-sided affairs made from tempered steel – the likes of which had not been seen before in England. The very finest of these implements bore the distinctive stamp of the Running Wolf or Flying Fox. Such was the need for high quality weaponry of this nature that the little community soon became a roaring success – and, in 1691, they were granted a royal charter for the conduct of their particular line of work. The immigrants assimilated well, and provided for themselves – including in their work, where they mined, processed and prepared the raw materials for their trade. The site was perfect, it seems, for their needs: the fast flowing river drove their mills and the surrounding hills held the essential ores – though a good deal of iron ore was imported from Sweden, too. Many family names are associated with the swordmaking phenomenon of the time, the Oleys and the Moles being among the most famous. They produced all sorts of implements: swords, cutlasses, bayonets, knives, etc., before moving onto more common-or-garden tools later on, such as scythes, sickles and cutlery. Up until the 1720s business remained good – excellent, in fact – but for a variety of reasons (lack of demand for weaponry, primarily) their success began to wane thereafter. Internal wrangling accentuated their plight and individuals began to leave for pastures new (e.g. Sheffield and its burgeoning steel industry). By the early-1800s, only the Oley family remained in business – and the last Shotley Bridge steel company was eventually taken over by Wilkinsons (of Wilkinson Sword fame). The very last of the Shotley Bridge swordmakers, Joseph Oley, died in 1896, aged 90 – and he hadn’t made a sword since 1840.